Detailed information and reviews of Maine entertainers, musicians & bands and dance schools. Find local clubs, bars & pubs and venues. Get no obligation price estimates and quotes. 12 String acoustic electric - 12 string acoustic electric guitar, preferably Fender but not necessary. Kawai digital piano - To buy a kawai digital ensemble piano cp 179 or cp 209. Piano Lessons - Piano lessons near Casco, Maine for my 5 year old. Cello Lessons - I am looking for someone in the Waterville area who gives cello lessons. 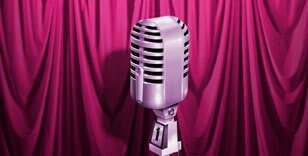 Singing lessons - I am looking to have private singing lessons, I need to know some more info. Piano lessons for an 8 year old - Piano lessons for an 8 year old in Oxford County area.